Amazon, under the leadership of Jeff Bezos, has been a great success story. It really created the online retailing sector with an initial focus on books and now has expanded to sell just about everything that can be sold online. 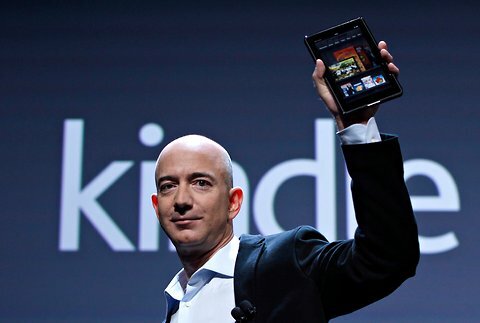 It has been an innovator with new cloud services, the online shopping experience and the Kindle. Part of Jeff’s success he attributes to the idea of having no regrets, taking risks, and having a powerful customer focused mission to drive everything. These are three ingredients key for genuine customer focused leadership. After all being customer focused requires listening and understanding customers better than the competition. However, at some point risks need to be taken to use that knowledge to create new solutions that may or may-not hit the mark. When you are in the thick of things, you can get confused by small stuff. I knew when I was 80 that I would never, for example, think about why I walked away from my 1994 Wall Street bonus right in the middle of the year at the worst possible time. That kind of thing just isn’t something you worry about when you’re 80 years old. As companies like Amazon grow, there is a danger that novel ideas get snuffed out by managers’ desire to conform and play it safe. The mission is something I have heard from a number of employees in different parts of the company (IT, marketing, HR) and they say it drives everything they do. It creates alignment and focus around customers in a powerful way. Does your leadership style include these elements? This entry was posted in Customer Centric Culture, Customer Centric Leadership, Customer-Centricity, innovation, Innovative Thought, leadership, market culture, Market Culture in Action, Risk Minimization, Risk Taking, Strategic Alignment, Uncategorized and tagged innovation; customer focused leadership;customer culture;risk taking. Bookmark the permalink. Hey Lindsey thanks for your comments, I am glad you found the post useful. It seems that leaders like Jeff are too rare. On the innovation front it definitely requires a certain type of culture to foster innovation, one that will tolerate risks and in particular embrace failure rather than make outcasts of those willing to risk everything and try something new!